Home Health Choosing the Perfect Workout Shoes: Road, Trail, Cross-trainers, etc? Perusing your local sports store, you come across a number of different types of workout shoes. You see shoes categorized as running, trail running, cross-trainers, walking shoes – athletic shoes, generally, but they all seem to look alike. So what’s with the categorizing? 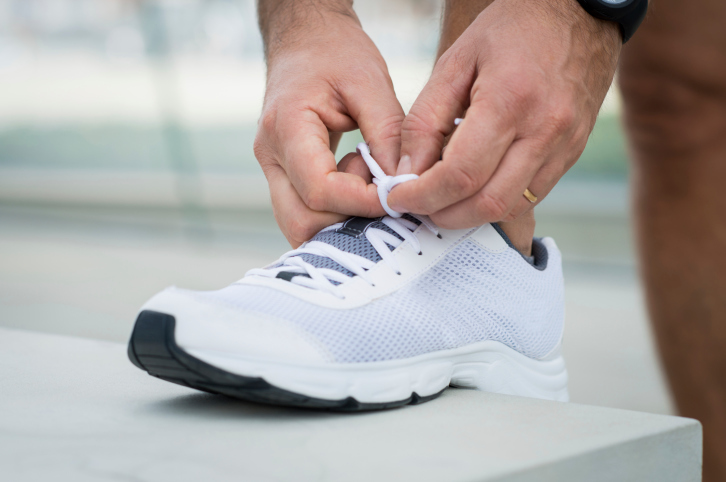 Note, while this article states shoes are “engineered” a specific way, wearing one type of shoe for another activity does not necessarily mean the shoe won’t be able to handle activity. How a shoe is constructed results in how it can be used more efficiently and may even affect the quality of your workout due to levels of comfort. Running shoes are constructed to propel you to move forward. Modern shoe technology has allowed running shoes to range in various styles – from minimalist to maximalist; from seamed uppers to seamless – so we’ll go into detail about that further down. Generally speaking, running shoes are engineered to encourage the forward movement of an athlete. Most shoes you’ll see are road running shoes – shoes that are made for running on hard surfaces, including roads, asphalt and concrete. Level of cushion and support will vary depending on the particular shoe. Some shoes are made with extra cushioning while others have more stability or motion-control features. Best for: heel-to-toe motions, such as running and fast walking; best for a more customized foot type, such as when dealing with overpronation or underpronation (see below) as running shoes are often engineered to accommodate different foot types. Trail-running shoes, on the other hand, are made for the trail – softer surfaces, such as dirt. Essentially for the outdoor enthusiast, trail running shoes tend to have lugs – round, little pegs on the outsole – or deeper treads to enhance grip and traction on uneven surfaces. Can be worn on established trails or in the backcountry if you’re an experienced trail runner. Many trail running shoes are coming out in “minimalist” styles to enhance natural foot motion and promote grip. Best for: Outdoors, running on park trails or trail areas, light hikes and day hikes with simple terrain. While running shoes are engineered to propel forward movement, cross-trainers are specifically made to encourage forward, backward and lateral movement. This also means they generally lack in support and may not protect the foot from repetitive high-impact stress such as continuous running. Trainers are usually cushioned enough for short, repetitive bursts of exercise. 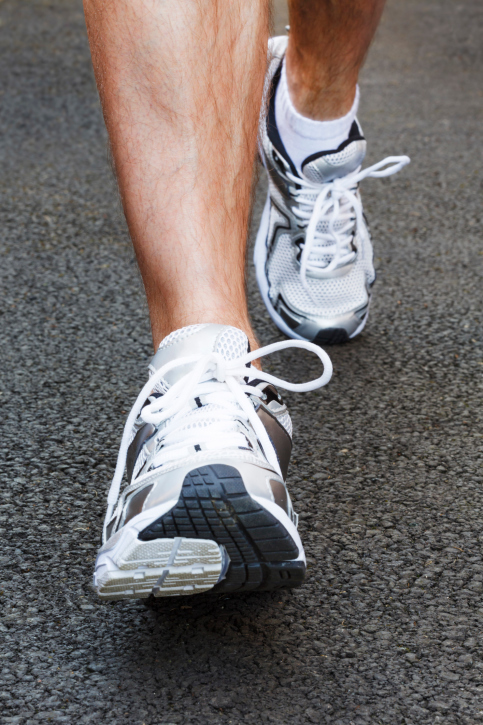 Cross-trainers tend to have a wider sole to allow for lateral movement and sharp cuts. Best for: workouts that include a variety of movements, including cross-fit, plyometrics, interval training, dance workouts and weights. Generally made for use on hard surfaces. 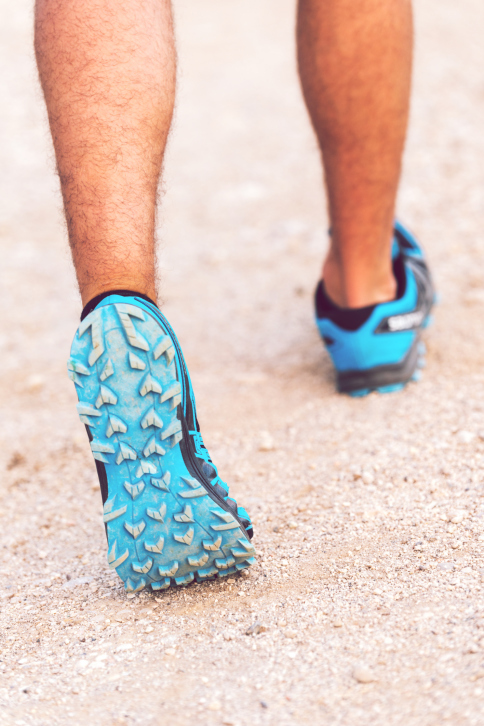 The forward motion mechanics of walking and running may be similar, but the way the body moves during each of the motion will ultimately affect whether or not a walker should choose a walking shoe or a running shoe. Walking shoes are engineered to have more cushion in the heel to account for heel striking. Will generally not have all-around cushioning the way a running shoe would.